Norwegian State Secretary, Honorable Ms. 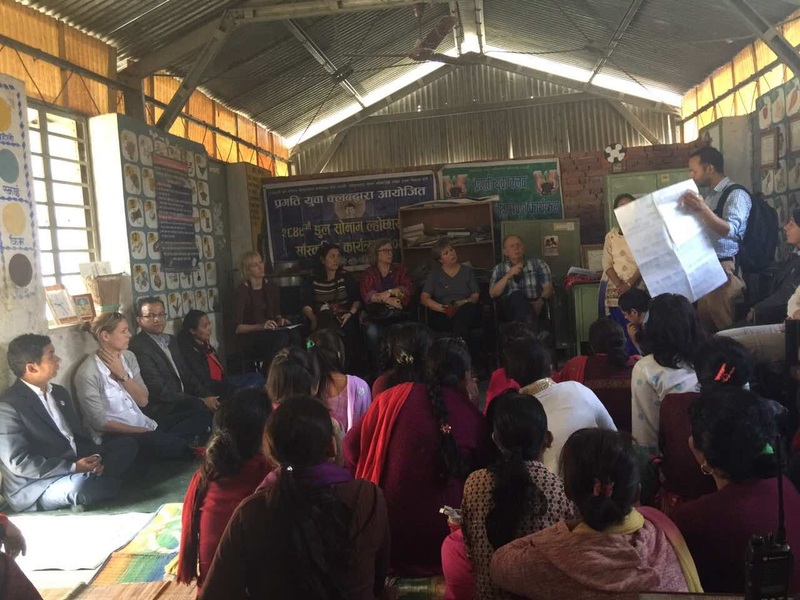 Tone Skogen visited Suryodaya CAC of Dhulikhel, Kavrepalanchok on 22 March 2017. 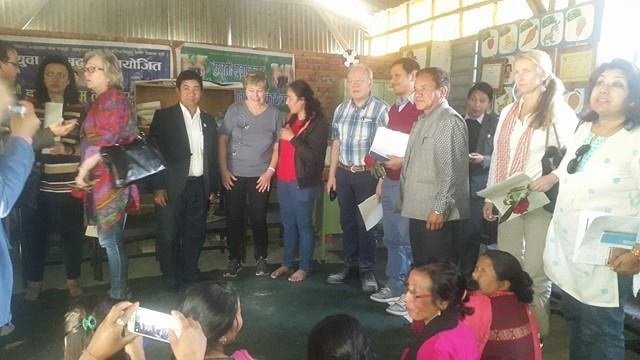 Norwegian Ambassador for Nepal Mr. Kjell Tormod Pettersen had also accompanied the state Secretary. 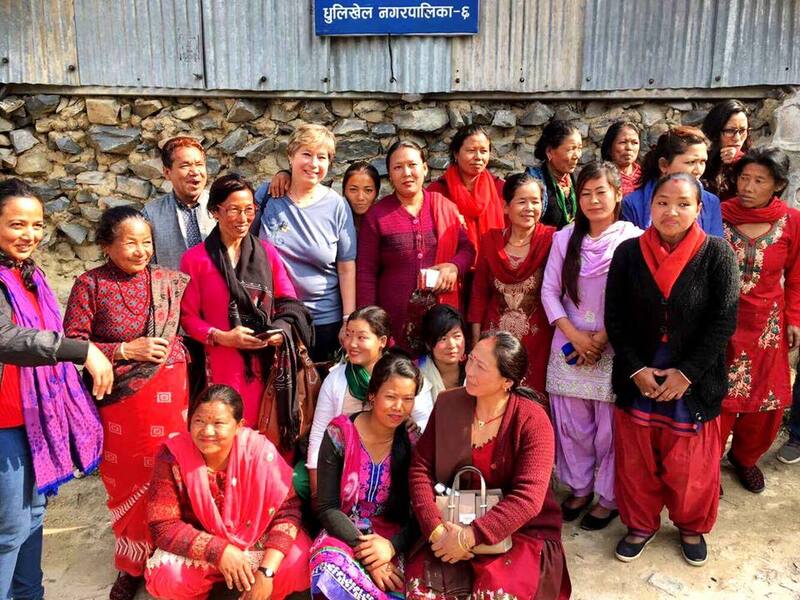 The visit was focused on observing UN’s work at the local level, particularly that of LGCDP. She interacted with the members of CAC whereby she emphasized on the role of male members in their community and families, and their support in promoting CAC. She was also interested in the members’ participation in the upcoming local election. Additionally, CACs made a brief presentation about their regular activities and achievement along with future plan. The team also visited some of the income generation activities of CAC members. Other members of the team comprised of representatives from Norwegian Embassy, UNDP, and UNFPA. 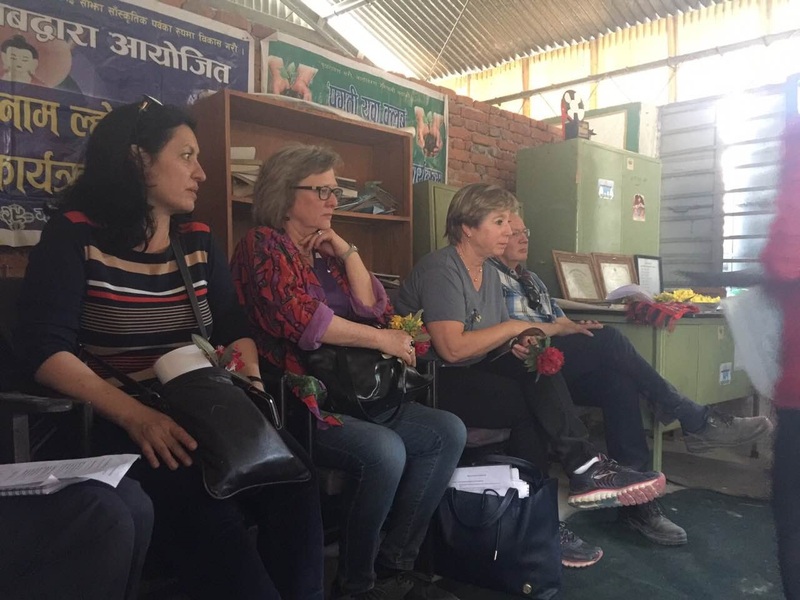 UNDP coordinated the visit while CAC visit was managed by Regional Coordination Unit, Dhulikhel in coordination with concerned municipality, Social Mobilizer and Local Service provider.